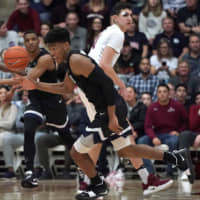 SANTA CLARA, CALIFORNIA - With about 4½ minutes left in the first half, a section of Santa Clara fans started counting down the shot clock’s final seconds well ahead of time in an attempt to rattle Gonzaga’s Rui Hachimura. Like most everything the Broncos tried against the No. 4 Bulldogs, it didn’t work at all. Hachimura dribbled into the lane, did a 180-degree spin and flipped the ball over his shoulder with his back to the basket for an impressive layup that quieted the raucous Leavey Center crowd. 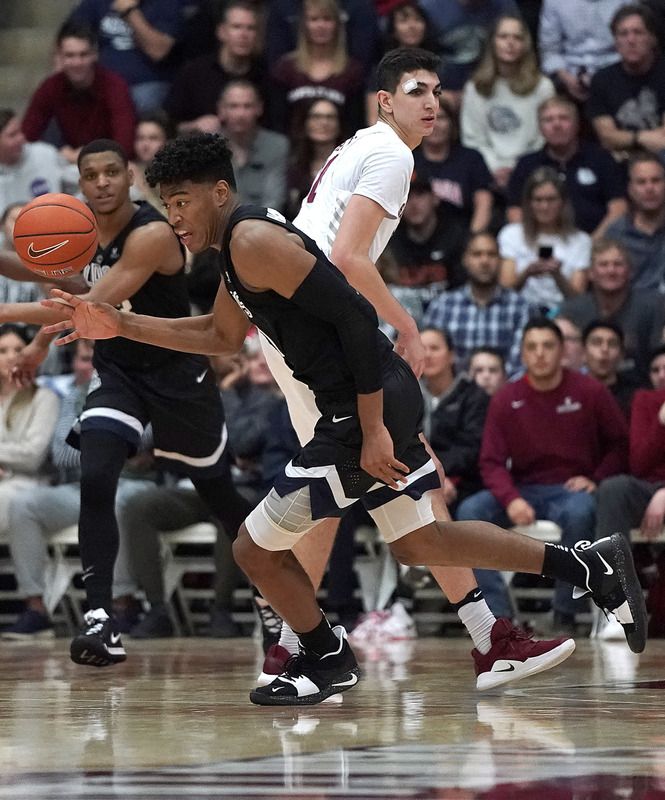 Hachimura finished with 16 points, Josh Perkins had 18 points and eight assists, and every Gonzaga starter scored in double figures as Gonzaga rolled past Santa Clara 98-39 on Thursday night. Zach Norvell Jr. added 16 points and eight rebounds, Corey Kispert had 13 and Brandon Clarke scored 12 points to help Gonzaga (19-2, 6-0 West Coast Conference) to its 19th straight win over Santa Clara. Bulldogs coach Mark Few’s team also extended its conference road winning streak to 27 games, the longest active mark in the nation. Few was particularly impressed with Hachimura’s layup while the crowd was roaring. “I don’t know where he got that,” Few said. Gonzaga held leads of 14-0, 20-2 and 48-10 while dominating Santa Clara on both ends of the floor in the first half, and was up 61 late in the second half well after Few pulled his starters. Even then, the Bulldogs kept rolling. Filip Petrusev scored 12 points off the bench, including a pair of free throws and a dunk that put Gonzaga up 96-37. It was very similar to the first game between the teams three weeks ago when the Bulldogs won 91-48 in the conference opener. Josip Vrankic had 12 points and six rebounds and Trey Wertz scored 11 for Santa Clara. The Broncos (11-10, 3-4) have lost four of six since their six-game winning streak in December. Perkins and Hachimura had 14 points apiece to get the Zags rolling early. Kispert added a pair of 3s and an emphatic two-handed dunk to help put the Bulldogs 53-17 at halftime. The game drew a Leavey Center-record crowd of 5,094 that included Pro Football Hall of Famer Ronnie Lott, who sat courtside.